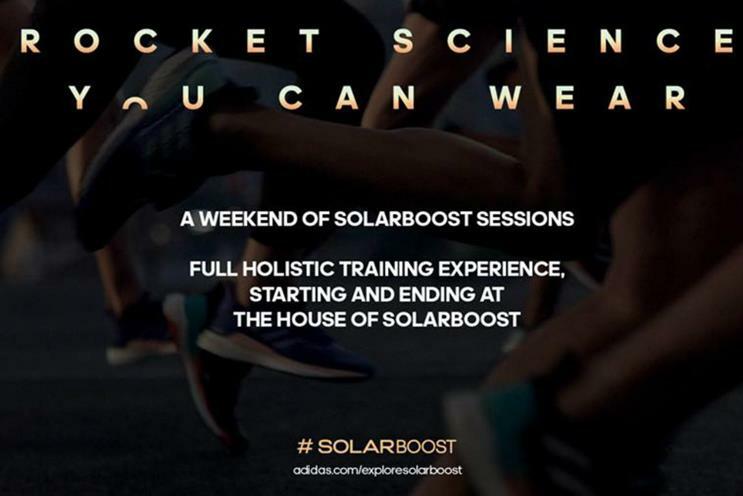 To celebrate the release of the Adidas SolarBoost trainer, the brand is inviting people to head down to its 'House of SolarBoost' for a series of running sessions over different distances. Participants can book free run sessions and take part in shoe trials - with the early morning ones dubbed Rise to Run. The House of SolarBoost, based on Brick Lane in east London, opened on 18 May and is hosting sessions until 27 May.